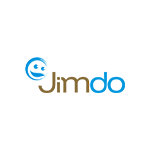 Jimdo's unique offering of a holistic website builder and integrated online store can be made even better by making it multilingual. Integrating Localizer with just a single line of code will allow you to add multiple languages and ensure that both your awesome content and online store are displayed in the right language to every visitor. How can Localizer make Jimdo multilingual?